The Department of Psychiatry offers residency training in Child and Adolescent Psychiatry for selected residents who have completed at least the PGY-3 year of training and passed USMLE step 3. We are ACGME approved for eight positions. Our program prepares fellows according to guidelines recommended by the American Academy of Child and Adolescent Psychiatry (AACAP) and by the Committee on Child and Adolescent Psychiatry of the American Board of Psychiatry and Neurology (ABPN). The training includes normal and abnormal child development with didactic seminars on cognitive, psychodynamic, social, and biological treatment approaches, including anatomical and biochemical studies. Supervised observations of normal children of all ages from birth through high school are provided. 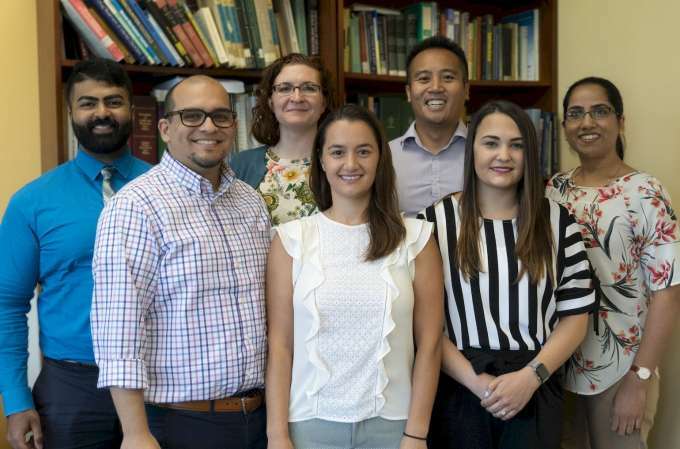 Building on the resources of the Department of Psychiatry, the Division of Child and Adolescent Psychiatry (DCAP) offers a diverse faculty, a comprehensive didactic curriculum, and modern inpatient and outpatient clinical facilities. Our program produces graduates who are clinically astute, academically well-rounded, with strong professional values and ready to assume successful leadership roles in the field.